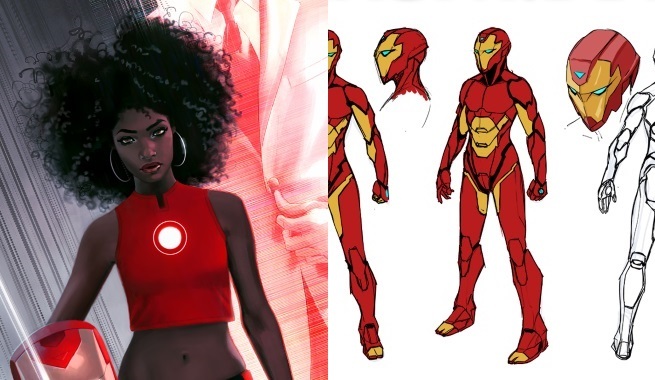 The team talks about Marvel’s new Iron Man Riri Williams, share positive feelings about the upcoming Captain Marvel team, and examines June’s sales numbers. Guest co-host Carolyn Cocca joins Mara, Bob, and Steve to discuss comics, music, and diversity. Need to know what to read? We pile on the recommendations this week from both mainstream and indie companies. The Comic Book Podcast is brought to you by Talking Comics (www.talkingcomicbooks.com) The podcast is hosted by Editor-in-Chief Bobby Shortle (Fanboy Remix, Doctor Whocast), Steve Seigh (JoBlo.com contributor), Bob Reyer, Dr. Mara Wood, and Joey Braccino who weekly dissect the releases and give you, the consumer, a simple Roman yay or nay regarding them. Our Twitter handle is @TalkingComicsand you can email us at podcast@talkingcomicbooks.com.